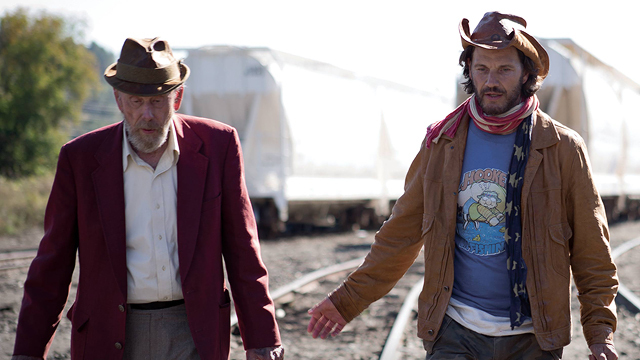 On a cross country road trip to rob his home town bank, Prince Mccoy (Michael Worth) finds himself having to rely on the help of an ex convict hitchhiker named Carl Robbins (Rance Howard). Along the way, the people they meet and the friendships they build will begin to help heal the ghosts of their pasts. Yet they'll both have one final crossroad to face in the small town of Apple Seed. Clint Howard (who plays Carl’s son, Hughie) and Michael Worth (actor/director) will be attendance to answer audience questions. The World Premiere of Apple Seed being in Arizona could not be more fitting or poignant for myself and this decade long story I have wanted to tell. The very first film I worked on with Rance Howard I wrote and produced in Tucson back in 2002 called Ghost Rock. Our final cinematic journey would conclude 15 years to the month later on Apple Seed, in the very same state. Written for my dear friend, this story is my most personal one to date and am honored to have had such a supportive cast and crew, many from the Copper State, bring this film to life just in time to honor this talented actor. And being the first time he and his son Clint Howard would play father and son on screen along with Rance's close friends Adrienne Barbeau and Robby Benson joining the cast, only makes this project that much more meaningful for all of us. We are excited to share our journey with you and hope you find a little of your own journey in the experience. Themes: Relationships, Crime, Road Trip.